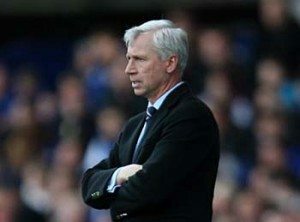 It has been well documented that Alan Pardew believes that the Premier League is the priority, with competitions such as the Europa League and the FA Cup etc playing second fiddle. Looking at our performance in the league last season, there were few who disagreed with Pardew that our objective should be to build on our fifth placed finish and try and qualify for the Champions League. Yet, eight games into the new league season we have only managed to win once since the opening day and currently lie 11th in the table. It’s still early doors and there is no need to press the panic alarm just yet but failure to defeat West Brom at home this Sunday, and Newcastle will be facing up to the prospect of being potentially nine points off a Champions League place, nine games into the season. This leaves me to think surely we should take the Europa League as seriously possible, similarly the FA Cup. Newcastle have went too long without winning a trophy and I’m sure many Toon fans would much prefer to win a trophy than to emulate last year’s league successes. I’m not suggesting not taking the league seriously; I as much as the next fan want Newcastle to mount a serious claim to qualify for European football. However, after putting so much effort into qualifying for the Europa League last season, I think we ought to go out and try and win it. It took five long years of trials and tribulations, tears and torment, to get the club to return to European competition; now with Newcastle already being eliminated from the Capital One Cup, these two competitions represent a realistic opportunity to end our 43 year wait for a trophy. If our league form carries on in the same vain these competitions could also represent an alternative route into European competition next season. We have made a positive start, gaining four points from two matches, and we have achieved this through starting an under strength eleven. 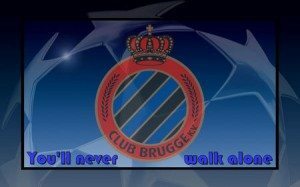 A win against Club Brugge tomorrow night and we are in a very healthy position to progress to the last 32. The foundation is there to mount a serious challenge. Our strongest XI is good enough to trouble any team. We have tens of thousands of passionate Geordies in St James’s Park, a cauldron every team will fear on a European night. If we get through to the last 32, I think Pardew must respect the competition more and play our strongest XI, to try and win a trophy for the fans of this football club who deserve it. The opportunity is there. It needs to be seized.